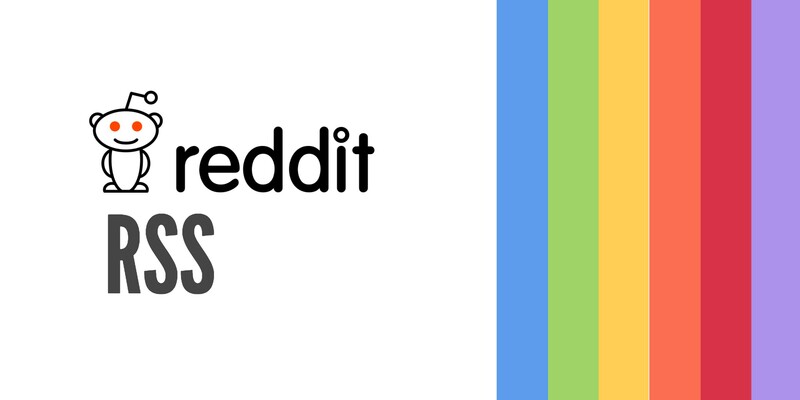 Reddit is one of the biggest social networks out there. So much great content comes from Reddit. And through Reddit RSS feeds you can follow almost anything within your favorite feed reader. Reddit is basically a social network for sharing articles, images and discussing topics in specialised forums. Users rate content by up- or downvoting posts. Posts with more votes are ranked higher and get more exposure. The original poster then gets so-called karma points. The content is organized in user-created boards called subreddits. They cover all manner of topics. Such as news, politics, sports, lifestyle, fashion, technology, politics, image sharing, music, books, fitness, nutrition, health, and more. How do I follow Reddit with RSS feeds? Reddit offers a feed virtually for every page that you can add to your favorite RSS reader. Here’s how to create them, depending on what type of content you want to read. A user. To do so, you must add its username after the last / add the .rss, for example: http://www.reddit.com/user/alienth/.rss, where alienth is the user’s username. If you use the search engine to search for a word or phrase, such as “marketing,” you’ll see the following URL at the address bar of your browser: https://www.reddit.com/search?q=marketing. To create RSS feeds, it is necessary to add .rss again after the search. You could also add your protected feeds that apply only to your account, such as feeds on your homepage, your messages, stored links from you. 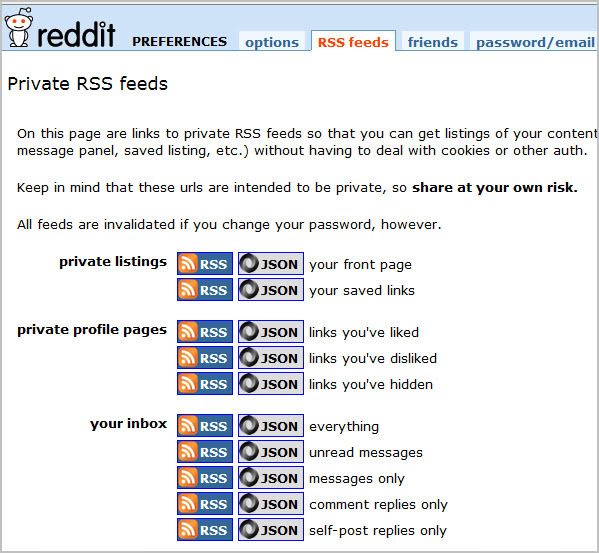 To do this, simply go to your Reddit account preferences, enable the enable private RSS feeds setting, then the RSS feeds tab, and you can retrieve the URLs of your feeds.